An 8.5 oz. 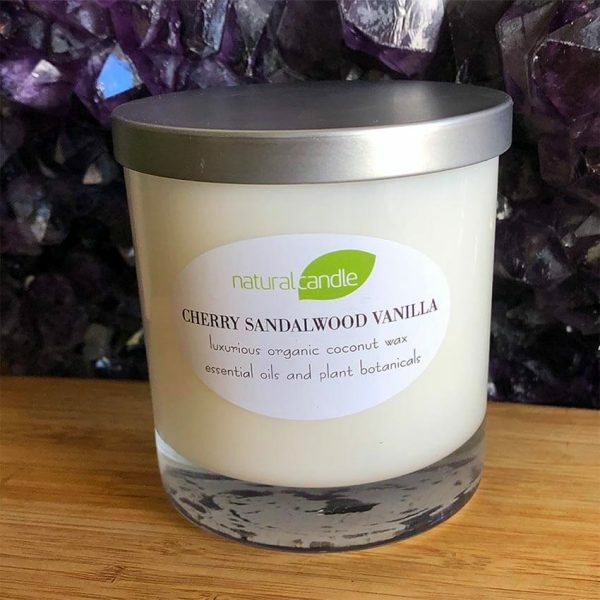 natural candle that is hand-poured in small batches. These luxurious candles are made with an all-natural coconut wax blend with organic coconut oil. The wicks are made of 100% unbleached cotton and are lead-free. 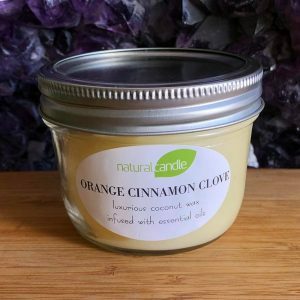 The candles are infused with organic or all-natural essential oils and botanical extracts. Available in 15 different scents. Select your desired scent with the drop-down menu. Free shipping in the U.S.A. with a $70 minimum order.